Editor’s note: Please welcome New Pig guest blogger, Sam Shon. Sam, a research engineer, will write about safety and other happenings in his industrial lab. Check out his debut post below about waste reduction. Find out what worked well — and what didn’t — for Sam and his team in 2015, as well as what waste reduction plans he has for 2016. Going into 2015, my team and I put an emphasis on ways to reduce waste in our lab, which stemmed from realizing that we were using more absorbents than we had in the past. As we thought about the financial impact this had on our budget, we realized we were also generating more waste than we needed to. We used to waste product and money because we replaced our absorbents too quickly. Don’t replace your absorbents until they are fully saturated — they hold more than you think they do. We started paying attention to the absorbency of the mats we used around leaky machines and realized that we weren’t always using the right ones. Some absorbents are also perforated or can be cut to the exact size you need. It’s easy to just put a mat under a leak and change it periodically, but it’s better to figure out where the leak is coming from and fix it. Putting a little elbow grease into the problem is worth it in the long run, and you’ll see it in the long-term savings. Checking leaky hoses and replacing fittings are two common forms of preventive maintenance. Ensuring that your bearings or any rolling elements are properly lubricated will provide longer life for those components and less downtime replacing them. Some machines we use are messy no matter what. Because of this, we slide drip pans under the machines and collect the oil so the runoff can be reclaimed and utilized again after filtration. By keeping the oil contained in the pans, we were also able to reduce slip hazards. In my lab we have all sorts of machines, new and old. Some of these old ones, although still producing worthwhile data, had outlived their usefulness and needed to be retired. The machines needed more attention than they were worth to run properly. Any repairs would end up being wasteful and cost us downtime. By removing the old machines, we were able to free up useful floor space and clear up clutter that would accumulate around the machines. This initiative was the most difficult to execute because we had to break the mindset of “hurry up, let’s get this leak fixed and move on.” At meetings, everyone was encouraged to participate and offer solutions for dealing with certain types of leaks. We then compared the benefits and took the ideas that would have the most immediate and meaningful impact and implemented them. This practice actually caused us less down-time than our previous “hurry-up method” because we were able to solve problems with long-term solutions rather than resorting to quick fixes. Waste reduction efforts must be continuous to really pay off for your organization, and it’s important to be conscious of initiatives that actually produce more waste. One time we tried swapping out the gaskets we use, which would only last through a few tests, for ones made from a different material that would give us more life. Unfortunately, the new gaskets, while they did last longer, let out more oil than the ones we were using. We made the choice to switch back and look for another solution. In 2016, to keep momentum going, we plan to redesign some of our processes and systems that contribute to our lab’s waste. You tell us: What waste reduction projects does your company have planned for 2016? Let us know in the comments section below! 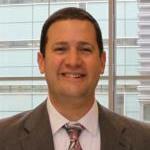 Sam Shon is a research engineer and specializes in the gear and power transmission industry. While his main responsibilities pertain to testing and design, he also maintains the safety and training protocols for his lab. Waste reduction can be a monumental task if you attack it without a plan. Learn about some key steps you should start with.